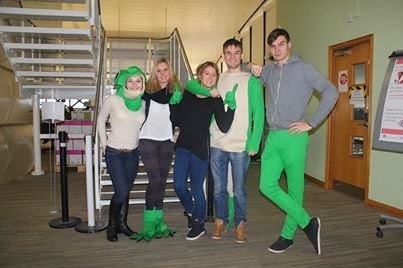 Students from our Tourism, Hospitality and Event Management programmes have been busy raising money for the Green Gecko Project. Over the past few years over £30,000 has been raised for the charity, which supports over 70 children who previously lived and begged on the streets of Siem Reap, Cambodia. Green Gecko provides security, education, love and opportunities to the children, empowering them to achieve their full potential. This year's activities have seen students undertake a variety of fund-raising projects as part of their final year modules. One group ran a Green Gecko photography contest, which involved a giant green lizard! For more details on their efforts please click here.